The Lord promises to give them as we delight ourselves in Him. (Psalm 37:4) Sometimes, though, He plants those desires within us far before they are granted. Sometimes one has to go through many different seasons in order for the fruition of those desires to be fully appreciated and relished. 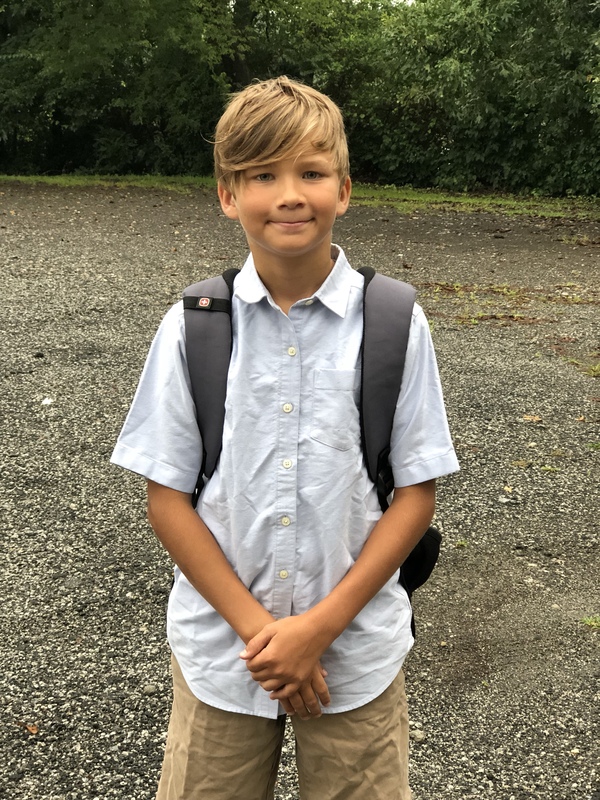 Since my eldest was in my womb, I had the desire to homeschool him. I desired to bring Him up in the Scriptures, and read great literature together and explore God’s creation and relish the stories of history together. Fast forward five years, and I had our fifth child in my womb, and we were “doing” my desire. I was homeschooling our oldest, and wrangling three toddlers and growing a child. And I was miserable. We had moments of exciting scientific discovery.. and moments of sweet read-alouds when I didn’t have little limbs crawling all over me… but it was NOT the rich and rewarding educational experience I had anticipated. 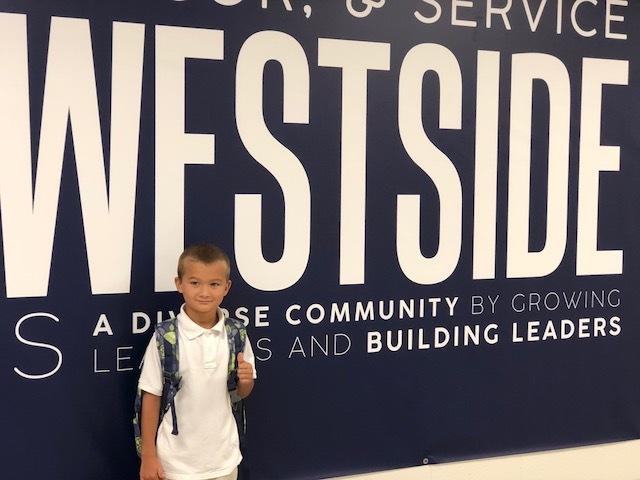 So near the end of the school year, two weeks before fifth child was due, we enrolled him in the public school across the street from our house. Since then, we have transitioned from public school to covenant Christian school to inner city charter school…. and back again. Here, in the 7th grade, the Lord made it so clear that NOW was the time to “bring our boy home”, and after some applied pressure from the discipline of the Lord, I finally yielded more to the CALL than to the FEAR (of not doing a good enough job). We are homeschooling a middle school son and a 4th turned 6th grade level daughter. This year we have done all that I had dreamed of doing when the homeschool desire was first planted in my heart: long times pouring over the Bible, not only as the Word of God but as an historical document, a scientific study aid (geology and the Flood), and a geographical reference guide (we are studying ancient civilizations and therefore, therefore their locations in the world). We have read great literature and explored the how and why of science. We have broken down the English language and learned how to write and explored Latin roots. We have LEARNED how to LEARN. We have taken ownership of our education. And it has been the joy and adventure I had longed for. God has truly granted the desire of my heart. We pulled DJ out of a public charter school, in order to get a year of investing in him…mind, body and soul. He has worked with diligence and focus…especially if he gets to do his history lessons in this position. We are definitely the unconventional large family. Two of our kids are homeschooled, three are in charter school, and two are in a preschool co-op. The Lord has directed us differently for each child as we have prayed into the promise, “your sons and daughters will be taught by the Lord” (Isaiah 54:13). Just as Jesus didn’t heal every blind man the same way, He doesn’t teach each child the same way. 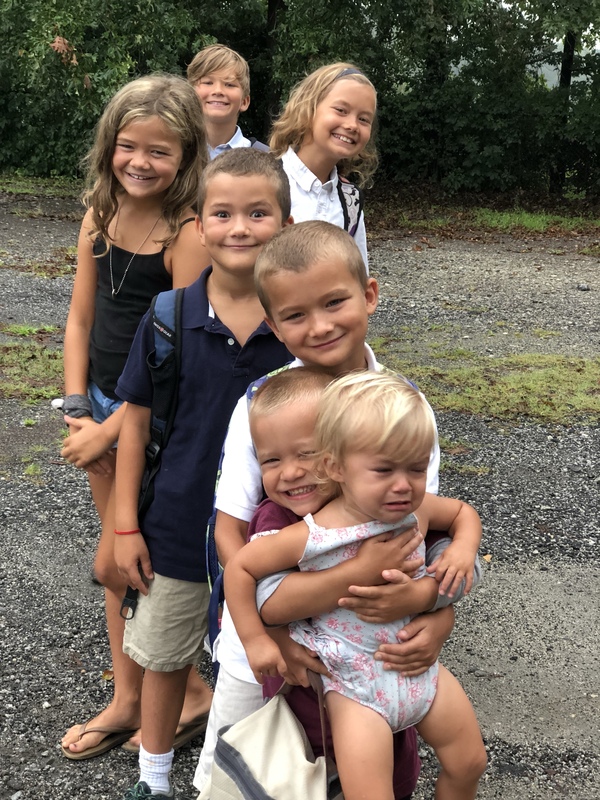 With this many kids in the household it is a joy and challenge to explore WHO each child really is and HOW to best facilitate their gifts being developed for the glory of the One who created them. 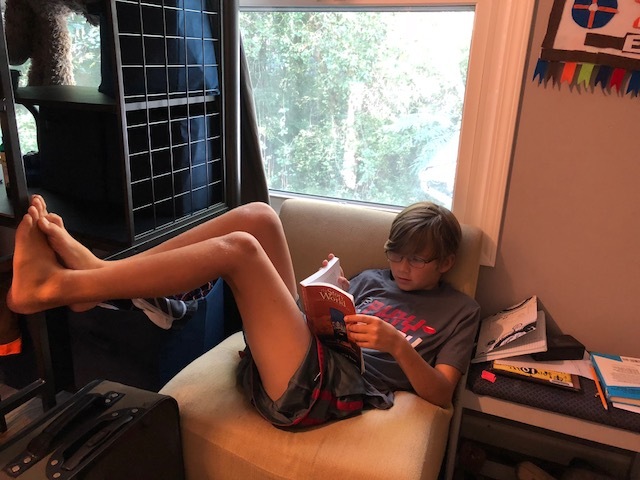 After homeschooling Malachi last year, we realized he needed some extra help with reading and an additional year to mature. 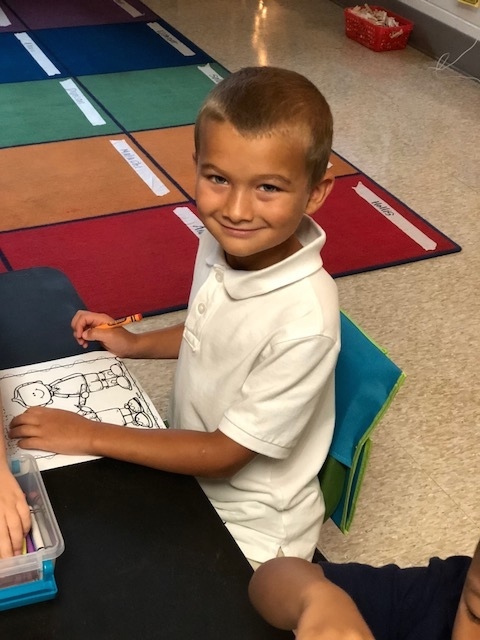 He’s started kindergarten at our local charter school. So, as we have delighted ourselves in the Lord, and He has granted the desires of my heart even 13 years later, I am delighting even MORE in the Lord whose timing is perfect, whose gifts are good and who has given this precious season with my firstborn right before he embarks into the world of “manhood”. How, exactly, does a lazy busy mom homeschool a 4th and 7th grader? And we are reading tons of great literature! !